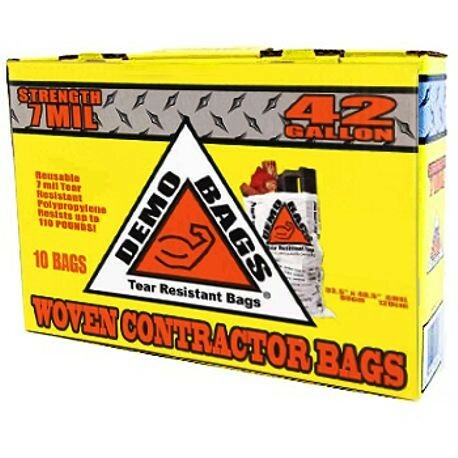 Waterproof, reusable, tear-resistant; these bags are designed for professional clean up. Made of Poly-woven plastic fibers, they can transport heavy duty loads up to 110 lbs. Great for tile removal and other interior and exterior demolitions, natural disaster cleanup, and more!